Home Chief Justice CJP orders immediate arrest of DIG Gilgit. CJP orders immediate arrest of DIG Gilgit. 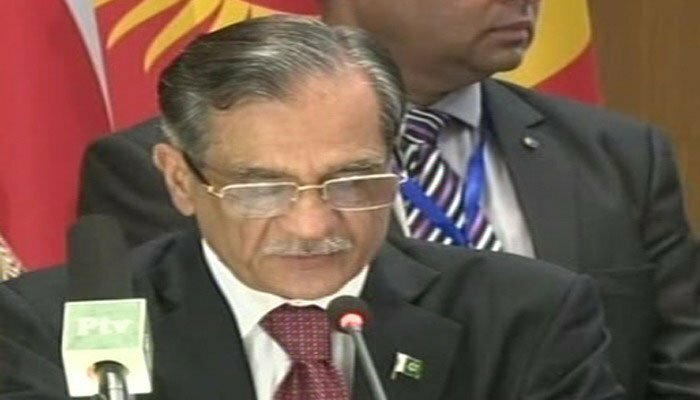 Chief Justice of Pakistan (CJP) Mian Saqib Nasir on Saturday ordered the immediate arrest of the Gilgit-Baltistan (GB) Deputy Inspector General (DIG) Junaid Arshad. DIG Arshad's former wife had filed an application addressed to CJP Nisar requesting his arrest. The application stated that DIG Arshad had posted immoral photographs of his wife on social media with the intent to defame, and, despite his request for bail being rejected by a trial court, had still not been taken into custody for prosecution. The chief justice, irked by the matter, remarked: "Do police officers consider themselves above the law?" He ordered police to arrest the DIG and present a report before the court by Sunday. He also issued directives for DIG Arshad's name to be placed on the exit control list (ECL). - Dawn.